"Instead of focusing on particular geopolitical mapping, the book centers on the peripherality of European voices. While no study dealing with European identities and ideas can formulate a single and monolithic Europeanness, Europe faces Europe aims to scrutinize the plurality of European identifications. Although the book’s emphasis on the plurality of voices represents nothing new as such, it is certainly relevant given the politically acute tension that prevails between Brussels-centered unifying ideals and Europe’s peripheral narratives." 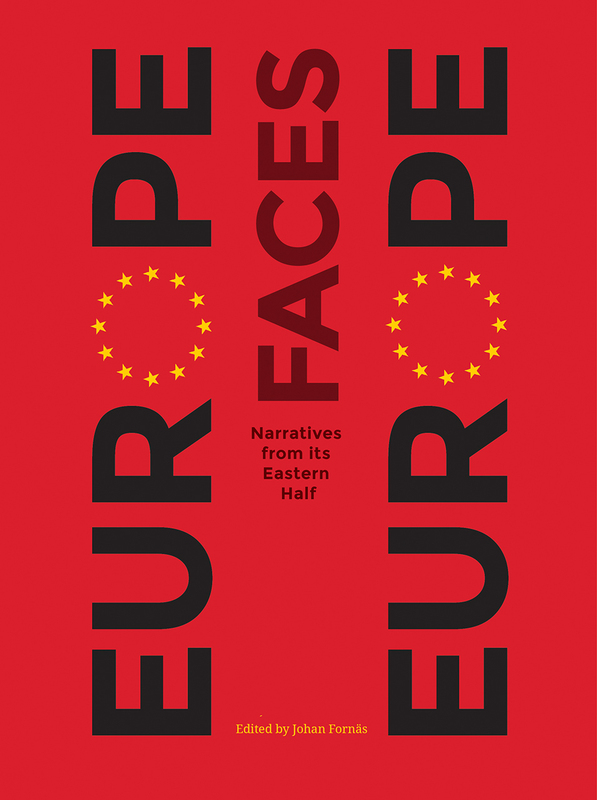 "Europe Faces Europe is a meticulous study of broadly understood media narratives of Eastern Europe in the context of the region's European identification. The book is the result of a research project conducted at Södertörn University, Sweden, involving six scholars headed by Johan Fornäs, a professor in the Department of Media and Communication Studies there. Each scholar contributes a separate study pertaining to a specific media or narrative problem, such as the news media, protest movements or high art, among others, with Fornäs writing the introductory chapter as well as his own study, which, albeit focusing on a specific problem in popular culture, is broadest in scope." "Six captivating stories of vice and virtue, of villains, victims and victors sharing the same central character – Europe – are critically examined in the pages of this book. The East’s tale of the West; the periphery’s scrutiny of the centre through the lenses of philosophy, art, journalism and popular music capture the image of a community still in search of its soul, a culture whose internal Other is simultaneously a source of disquiet and productive self-reflection. This is an excellent thinking guide for today’s Europe whose narratives are filled with suspense and the happy end is far out of sight." "The book offers a brilliant multi-disciplinary, cross-platform analysis of the new European master narrative and the view of Europe as a symbolic universe. The book is a major contribution to the fields of European studies and cultural studies as well as research on transnationalism." "Narratives matter, as the European Commission knows well. But some narratives are more dominant than others, leaving voices on the periphery unheard and their motives poorly understood. The essays collected in Europe Faces Europe offer a powerful counter-narrative, revealing the competing and even paradoxical notions of Europe that emerge from the Balkans to the Baltics. Identities and points of view are necessarily dynamic, relational, and slippery things; but in this collection, they take tangible form in the authors’ analyses of such sites as art exhibitions, the Occupy movement, and the Eurovision Song Contest. Europe Faces Europe offers a penetrating and timely twist to default notions of Europe by exploring how it is identified in narratives from its Eastern half. And in the process, it wonderfully demonstrates the forensic power of cultural analysis." "This well designed and coherent set of studies explores various views from Eastern Europe directed at the continent as a whole, and especially at the EU, and the East European gaze is anything but uncritical. Centred around Fornäs’ explanation of the concepts of narrative and identity as applied to Europe, this collection contains many valuable insights into the big questions about Europe: what it is, what it means, where it is going, what it stands for. And there is of course no one set of answers. But this book brings some order to the bewildering diversity of narratives of Europe from the East. It deserves a place in every academic library."